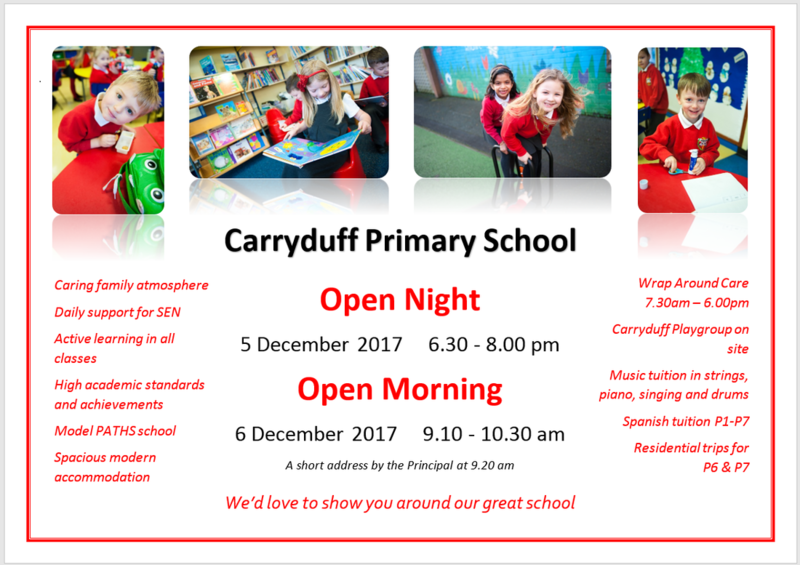 Carryduff Primary School has updated its Privacy Notice in accordance with the new General Data Protection Regulations which took effect on 25th May 2018. This will make it easier for you to find out how we use your information and to understand your rights under the new legislation. You can find this notice under the Information for Parents tab. 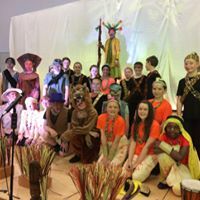 A massive well done to the P6 & P7 Drama Club who put on a highly successful run of Lion King performances. 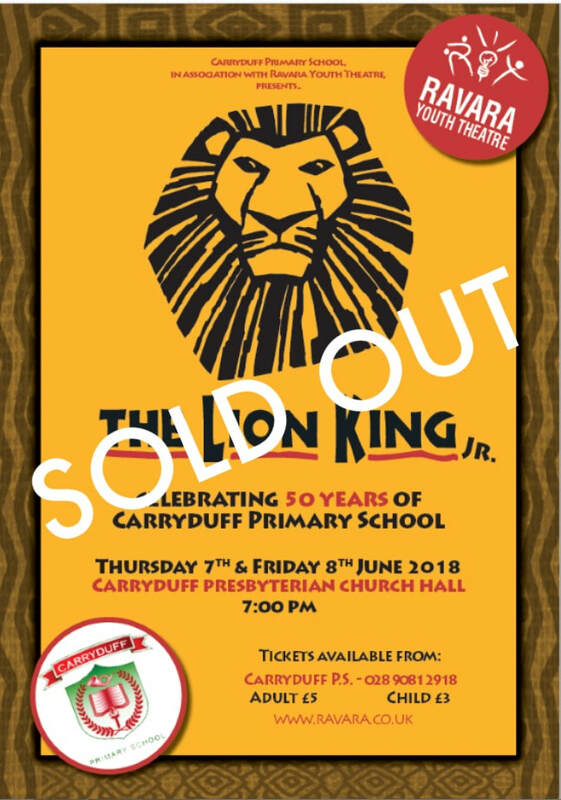 Thanks to Ravara Productions for all their help, to the PTA for assisting with funding and to Carryduff Presbyterian for the use of their facilities. 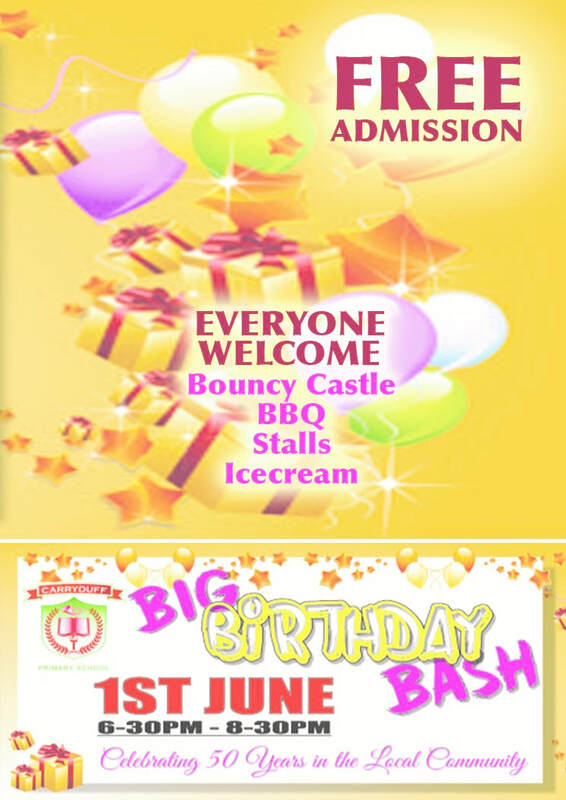 Everyone is very welcome to attend our 50th Anniversary Exhibition in June. We have unearthed some wonderful old photographs. Thanks to the PTA who threw us the best birthday party ever. There were lots of stalls and things to bounce on. We raised £632. We had a glorious sunshine for our Sports Day on 23 May. A host of supporters cheered on our pupils whilst Richard McMeekin entertained the crowds. Great athleticism and sportsmanship was in abundance. SCU2 travelled to Ballymena to participate in the Sentinus F1 Challenge. 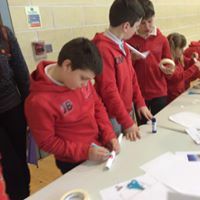 This involved them designing and making a car, producing a portfolio and presentation, and testing the car out at the event. They had a great experience. 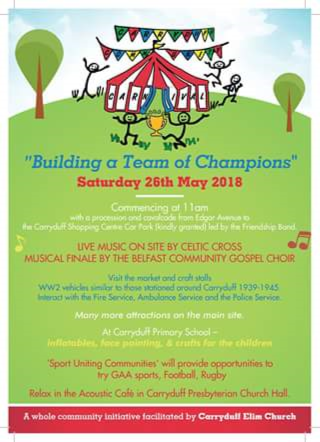 Well done to Harvey in P7 who designed the winning logo for the Carryduff Community Carnival. His design was chosen out of over 140 entries from local schools. In the week before Easter we had our annual Eco Week. Each day had a different theme following our Eco Code - Move More, No Waste (Paper Free Day, Junk Art Day) and Clean Space (Orienteering). 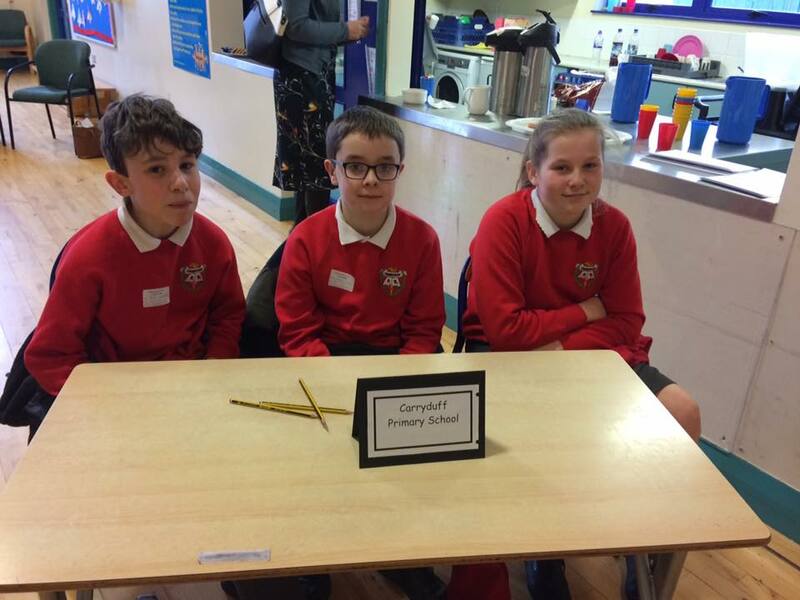 Well done to these three P7s who came second in an inter-school quiz at Millennium IPS. 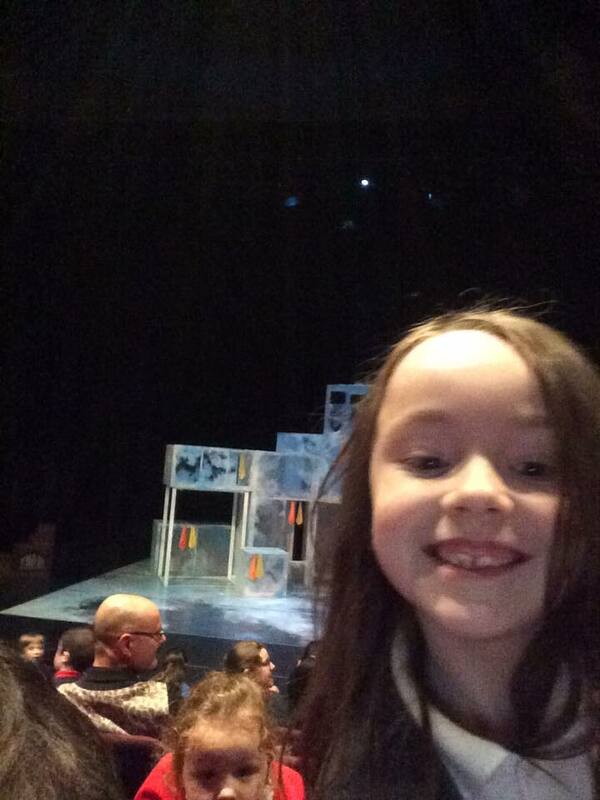 Our P1, P2 and SCU1 classes had a fantastic trip to The MAC theatre to see the play 'Penguins' as part of the Belfast Children's Festival. They even travelled in a double decker bus. For Sustrans Feet First Families Day we closed the school to all traffic and partied in the car park. The pupils loved it. Lots of activities were planned for Book Week such as; Dress the Classroom Door, adopt an author, Travelling Book Fair and of course dress up as a Book Character. we had great fun. We are having great fun raising money for the RNLI during Charity Week. We have had a go at welly races, welly wanging, team rescue challenges, knot tying and giant art attack flag making as well as building our own giant lifeboat from junk. 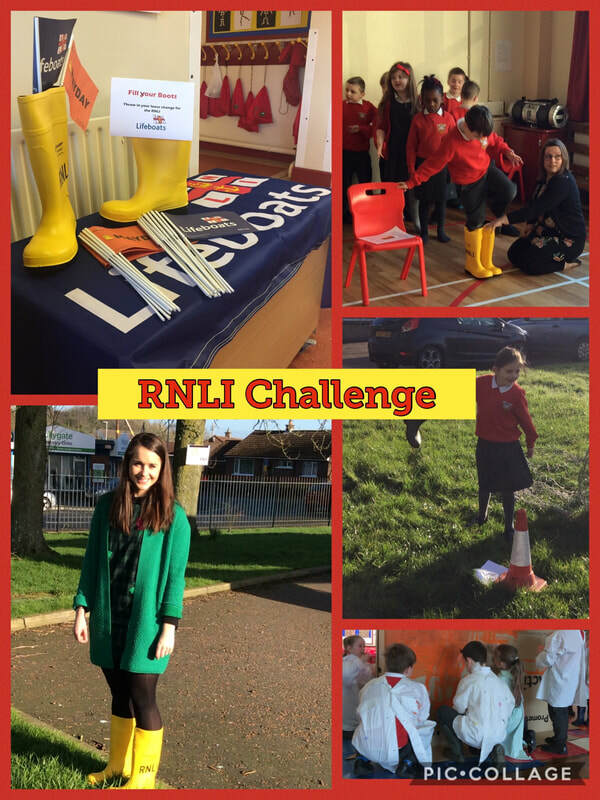 Thanks to our own RNLI crew member, P3 teacher Mrs Thompson, for organising all the activities. 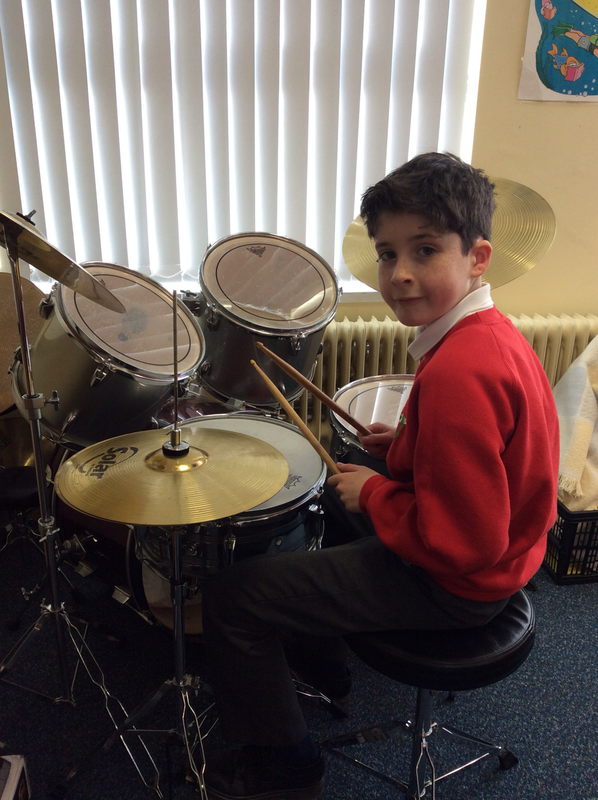 A big 'Well Done' to Dylan in P6 who recently passed his drum exam with distinction - great work, Dylan! The application forms have been handed in (all 33 of them) and our new Digital Leaders have been chosen. All are armed with tech and ready to go. 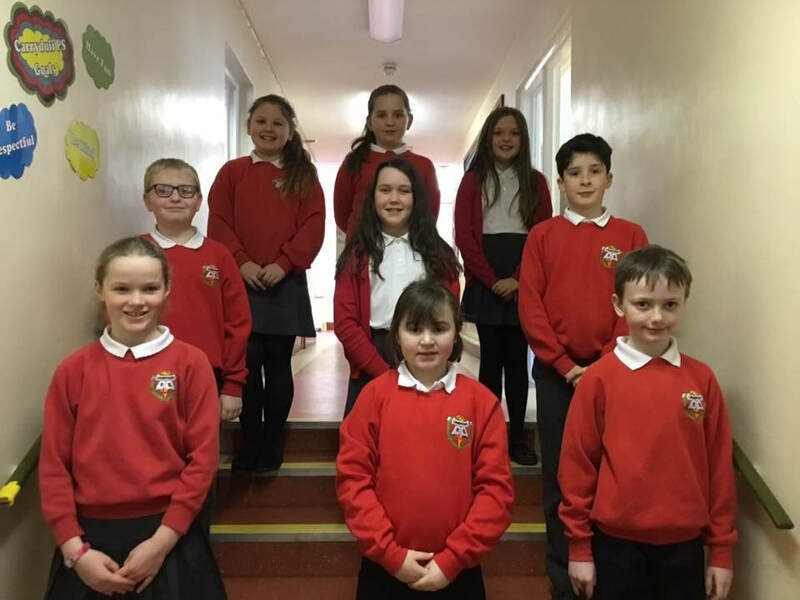 They have a few projects lined up in order to support both pupils and staff with the implementation of all aspects of ICT. First up, 'Online Safety'- just in time for Safer Internet Day on Tuesday. P7 and SCU2 were very lucky to win a fabulous trip to We Are Vertigo courtesy of Q Radio. 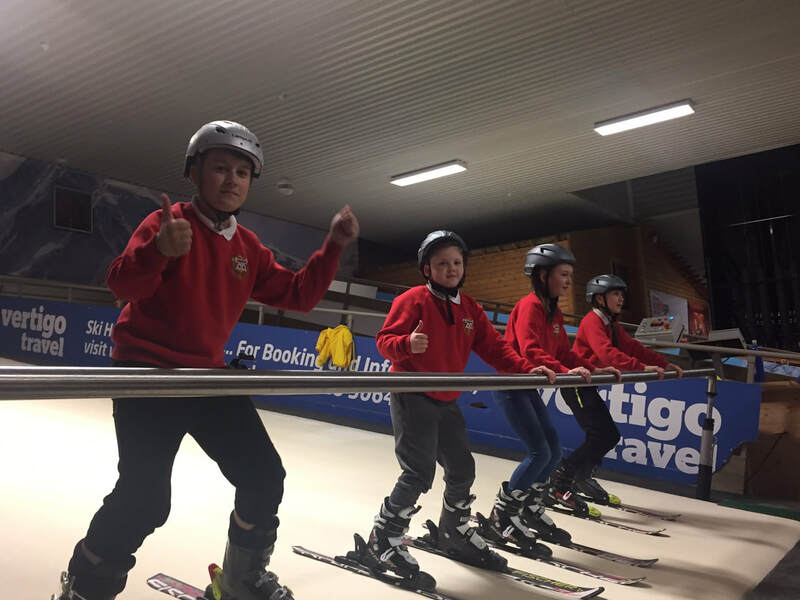 They had access to all areas and thoroughly enjoyed their day. How about that for a snowman? Thanks to Mr Zidaru and his cousin for building us the biggest snowman Carryduff Primary has ever seen. We really hope he'll still be there on Monday. If you missed it, just give the school office a call and we'd be glad to show you around. 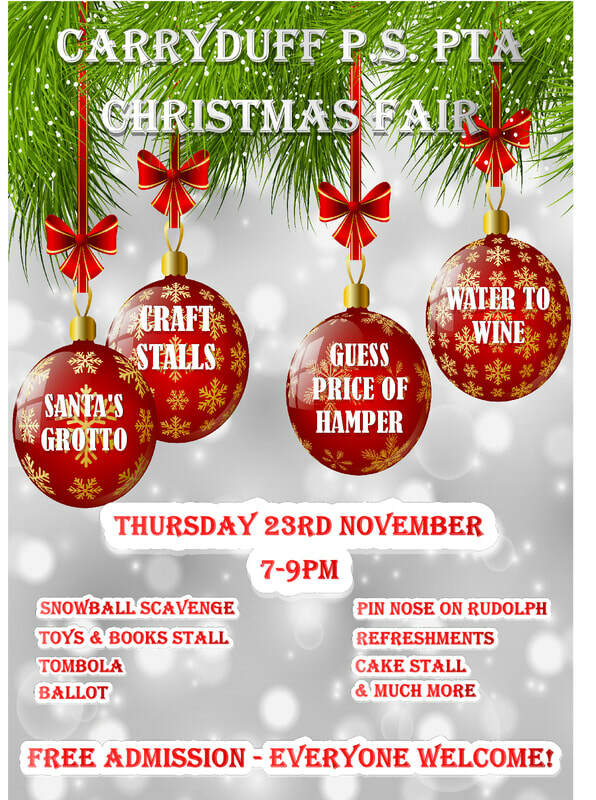 The PTA was thrilled at the community support for our Christmas Fair. A massive thanks to all who attended the event and also to the local businesses which supplied prizes for the ballot (a list can be found on the PTA tab). We raised a fantastic £2000. 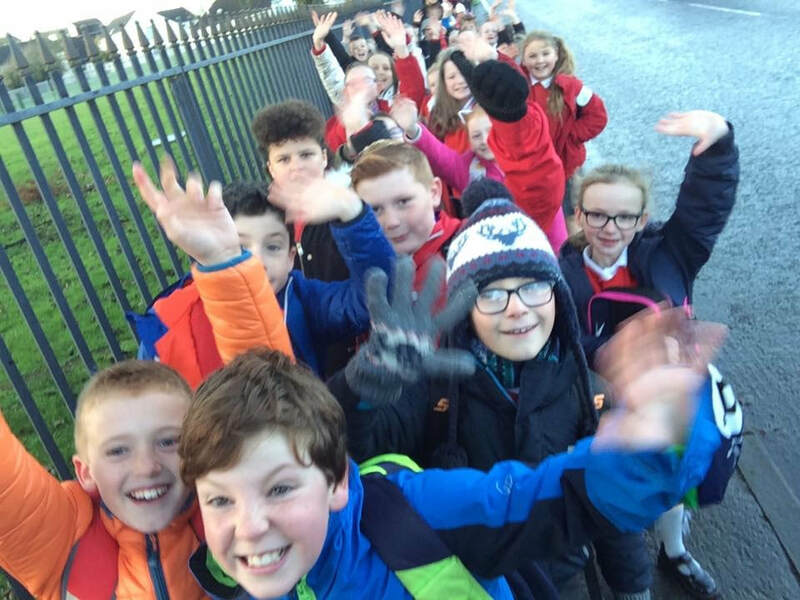 We had a fabulous turn out to our Walking Bus on Wednesday. The weather stayed dry and a tasty breakfast was waiting for us on arrival to school. Thank you to Marion who helped provide breakfast and to all those who joined us. The lack of traffic on the Killynure Road at 8.45am was unbelievable! The PTA organised another fantastic night of fun at our Halloween Disco with our resident DJ Cindy who helped us party the night away. The costumes were amazing. Have a look at the photo gallery for some more pics. 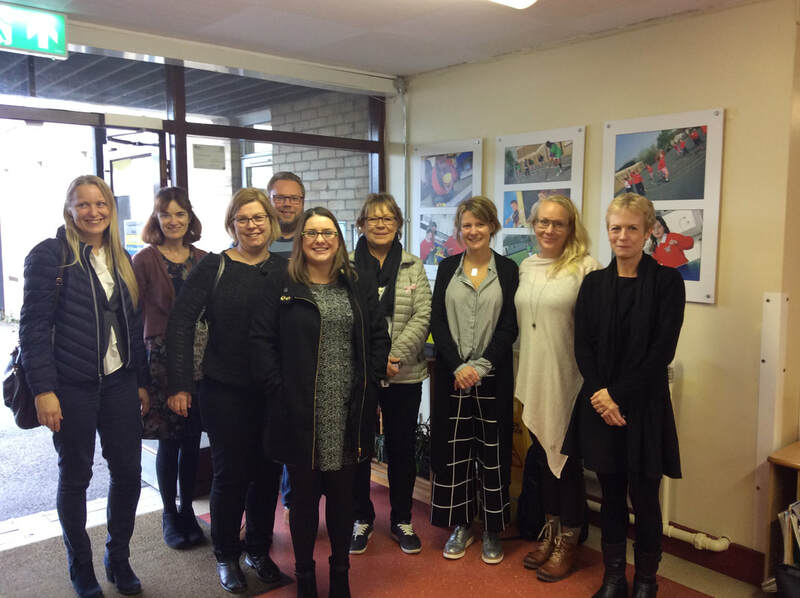 We welcomed some visitors who travelled all the way from Sweden to see good practice in PATHS Model Schools. They were very impressed with our wonderful pupils. 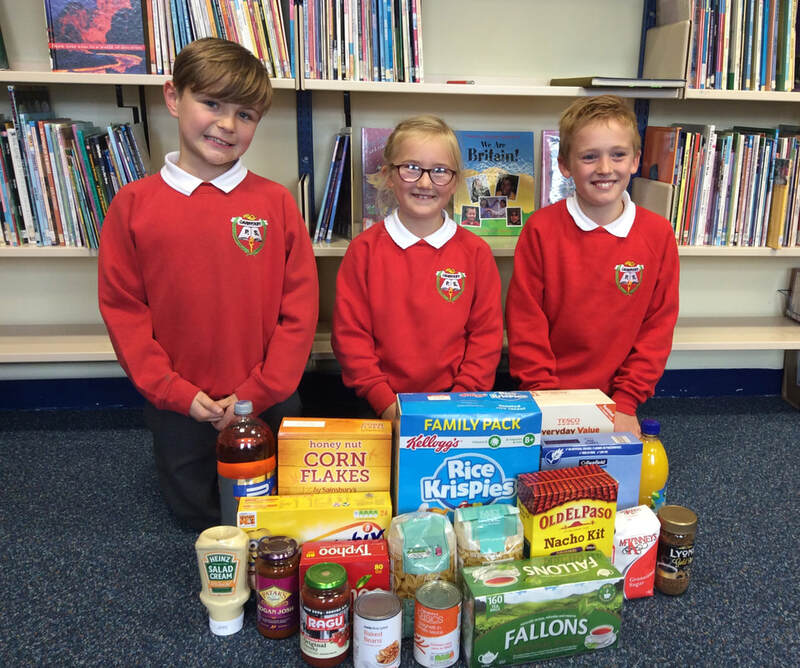 We were delighted to welcome so many people to our Harvest Assembly, we just about managed to squeeze everyone in. The Salvation Army will distribute all your kind donations of food in the coming weeks. 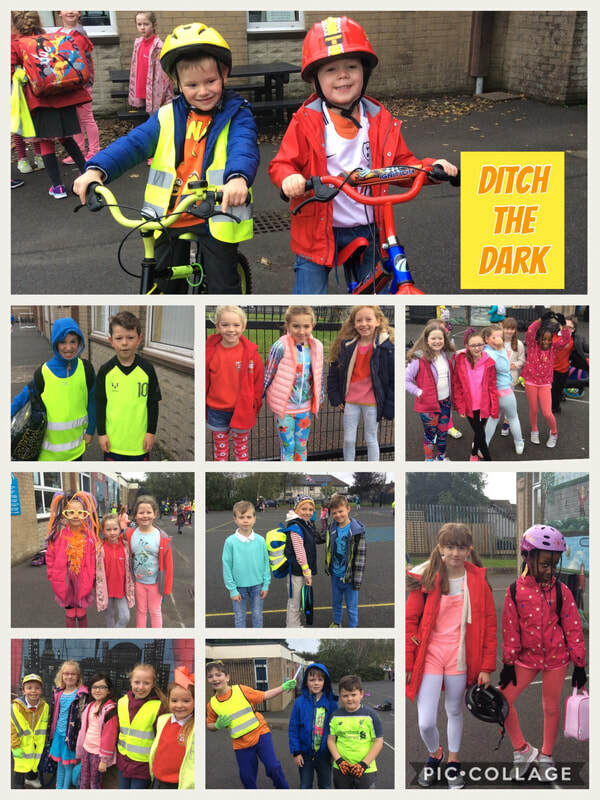 Sunglasses were needed during Ditch the Dark Day; the start of Autumn Active Travel. We work alongside Sustrans to promote cycling, scooting and walking to school. This helps keep our children healthy and eases congestion around the school - a win win! Well Done to our talented musicians who all passed music exams at the end of last term. Drums, singing, violin and piano, we have it all covered! F our of last year's P7 are missing from the photo.